Did you think the party stopped after the St. Patrick’s Irish Stroll, DC? We Celtic die-hards don’t take breaks on St. Patrick’s Day weekend, which is why we’re throwing the Get Shamrocked Party on Saturday night! Dance with your fellow lads and lasses and take advantage of drink specials as bartenders serve up some Irish luck. Get the full Irish treatment at this party that will go into the wee hours of the morning. 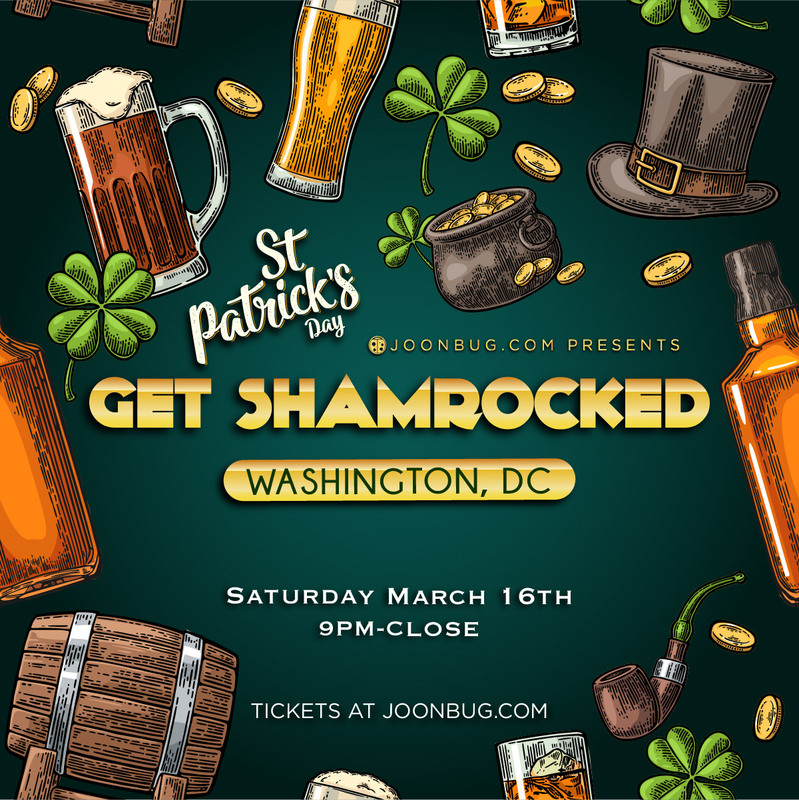 Don’t miss the opportunity to Get Shamrocked this St. Patrick’s Day weekend, Washington D.C.!